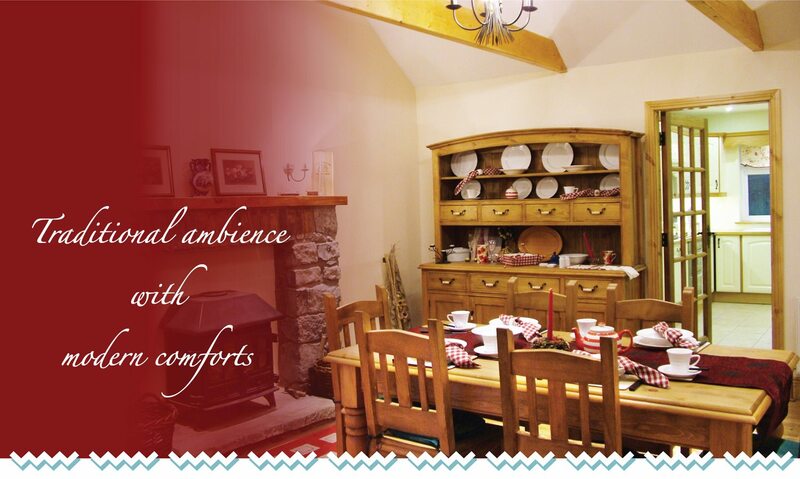 Once you step inside Hazel Cottage, leaving the beauty of the natural landscape outside, you enter a haven with a traditional Irish farmhouse ambience lavished with all the modern comforts. A welcoming open fire in the cosy sitting room is optional as the house is fully heated by a thermostatically controlled oil fired boiler. A dining room contains the traditional wooden table, chairs and open farmhouse dresser. The spacious master bedroom has an ensuite and two additional spacious bedrooms, a double and a twin. A bathroom with Jacuzzi, a steam cabin and a sauna all make Hazel Cottage the perfect venue for your dream holiday.